One of the more interesting and worthwhile endeavors I've undertaken recently is becoming a Freemason. I'll be raised to Master Mason (3rd degree, for those not in the know) on April 15 – any brothers reading are certainly welcome to visit for the degree ceremony (meeting at 7 p.m., Lodge details here and the usual visiting rules apply, of course). I have a family connection to the Fraternity: both of my grandfathers were Masons. While I didn't really know my paternal grandfather, Milton Shear (he died when I was 2), I was close with my maternal grandfather, Bernard Tuttle, who I knew growing was a Shriner, but I didn't recognize his connection to Masonry until he died. He was a 32nd degree Mason, and I was recently sent his degree certificate, which is an interesting artifact, as well as an heirloom, which I'll of course have framed. I also have, through Freemasonry, a connection to some great people throughout history, including George Washington, Benjamin Franklin, a total of 52 signers of the Declaration of Independence and at least 16 U.S. presidents (including Gerald Ford, who was a 33rd degree Mason, the highest degree). Groucho Marx is famously credited as having said that he wouldn't want to belong to a club that would have him for a member, and when I was at the other end of that spectrum – looking for a club to belong to that wasn't actively seeking me as a member – I went looking to the Freemasons. I first wrote to my local Lodge in application over a year ago, in March of 2013. I didn't hear from them for a couple of months, when several Lodge members came to the house to interview me, and then I didn't hear from them again for almost six months, when I was told the initiation ceremony for the first degree (Entered Apprentice) would take place in December. After being initiated, it was again six weeks before I was contacted, and mentored through the degree work; I was passed to Fellowcraft in March of this year. There seem to be few things, these days, that take preparation, time and work, and largely take place through the mail and in people's living rooms. (2) Aren't the Freemasons a secret society? Why are you telling me? To answer the first, yes. Operative masons – people who built buildings – were the first Freemasons, and Speculative Masonry, which is what Freemasonry is today, can be traced back, at least on paper, to 1717, and still uses as spiritual tools common operative masonic tools, like the square and compasses, which are prominently displayed on Lodge buildings and pretty much everywhere throughout the Freemasonic world. To answer the second, well, kinda sorta not really. Question mark? You can always tell a Lodge by the square and compasses on the side of the building. Masons are not asked to keep their membership a secret. Many of their works are public, from appearances in parades to Shriners hospitals and circuses to (in some states, like New York) the Child Identification Program (CHIP) to places like the Masonic Care Community in Utica. And there's plenty of information on the Web, and of course in books, many of them written by Masons, so they'd know. Some people look at the names of Freemasons – Washington, Franklin, Adolf Fredrick (18th century king of Sweden), Salvador Allende, both Leopold and Wolfgang Mozart, James Naismith, Gene Autry, Count Basie, Simon Bolivar – and think with all that power and celebrity, there must be some conspiracy at hand. I looked at the list of Freemasons and said, hey, if all those great people wanted to be a part of this, I want to be a part of it, too. Anyway, that's the long version. But it's one of the things I'm up to these days. 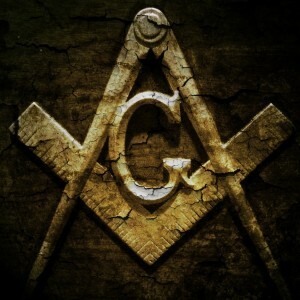 My father was a 33 degree Mason and was the master of the Fayetteville lodge in 1970 I believe. Never had an interest in the whole thing, struck me as most secret societies do, as a bit of a frat for grown ups–and not the kind of place that is tolerant of progressive thought or much concerned about diversity. I also harbor resentment against them (and my father) for the amount of time my father devoted to the enterprise–at the expense of family time. Hmm, interesting. I guess it’s really up to the individual on that. I’m very much of the opinion that my family will always come first (and my grandfather was, also — he advanced to 32nd degree and I didn’t even know about it until his funeral) — and the “pledging” (such as it is) gives the Mason the opportunity to determine if lodge business is more important than other things. I would recommend meeting with several different Lodges before formally petitioning. Each has its own personality, and, while proximity is certainly something to factor in, you should petition the lodge you feel most comfortable with, and that will help you improve in the ways you want and offer you fellowship that you enjoy. Feel free to contact me via email (mail at this domain) if you want to talk further!